Carlo Scarpa is considered one of the greatest architects of the twentieth century. 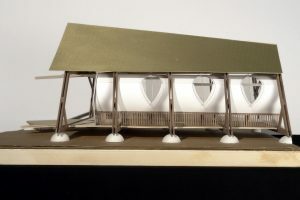 He received many achievements, relating to housing, city planning in historic centers and landscape. 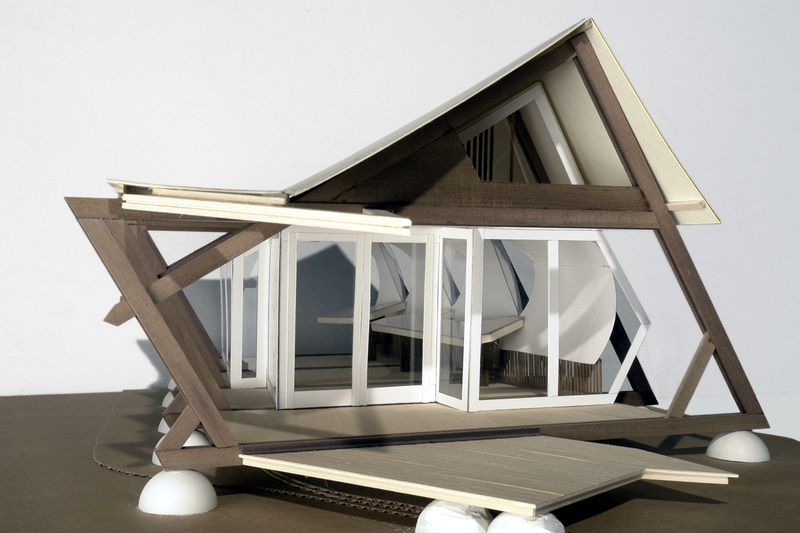 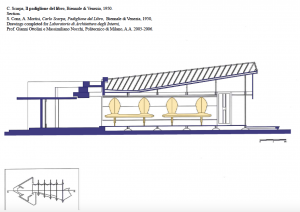 For the exhibition of the Venice Biennale of 1950, he made the book pavilion that housed a collection of art books. 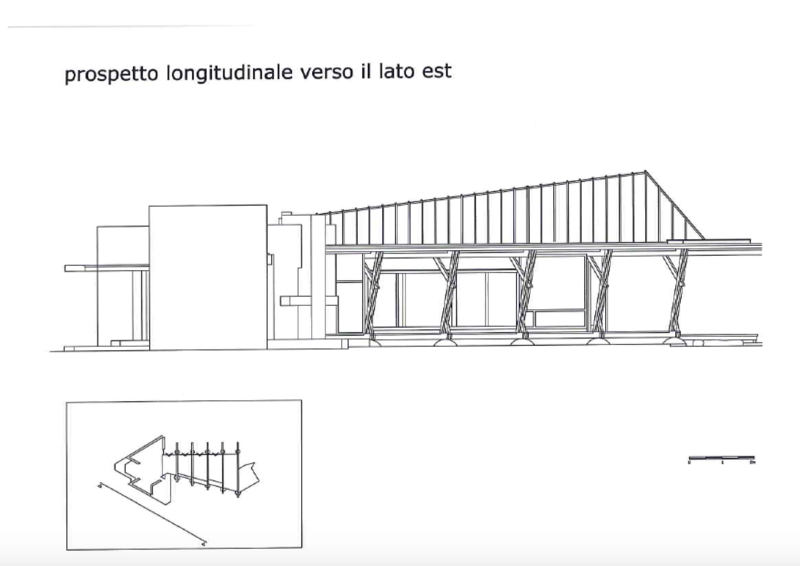 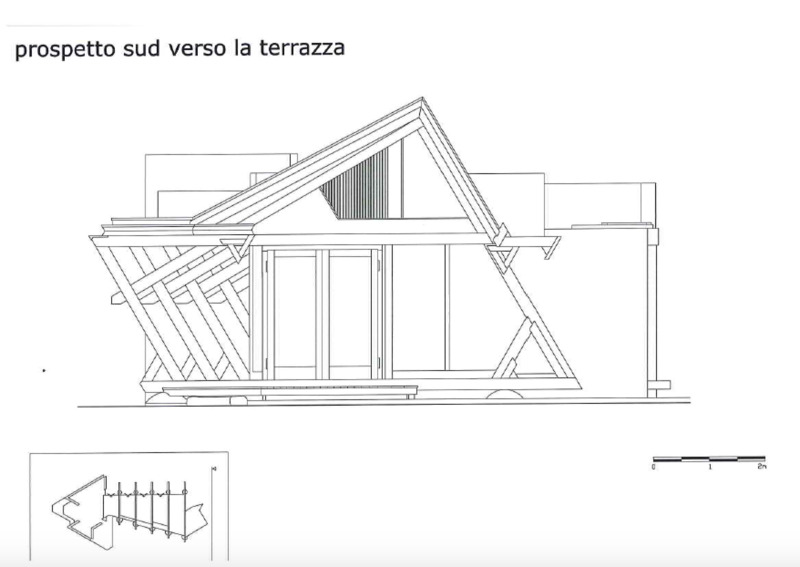 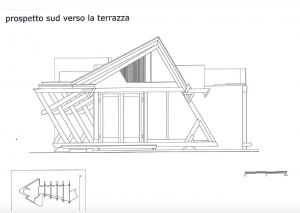 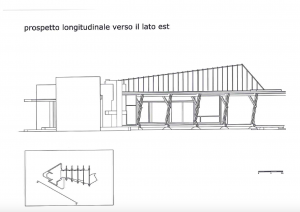 It consists of a single piece of masonry and wooden beams, resting on the grass without foundations. 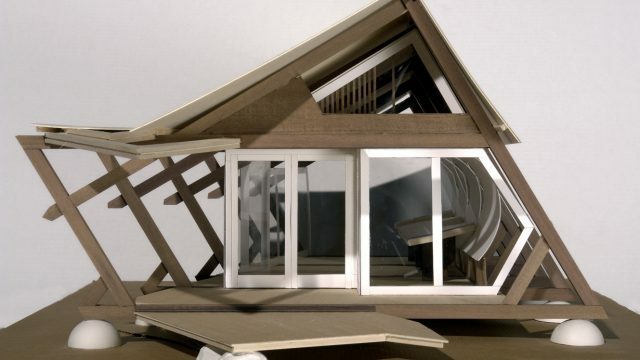 That peculiarity indicates the temporary nature of this construction. 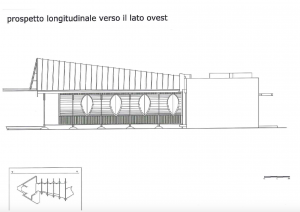 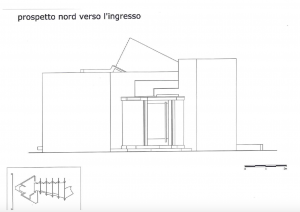 The structure is closed independently of the walls by panels of non-full height, allowing the light to pass through the ceiling and the floor. 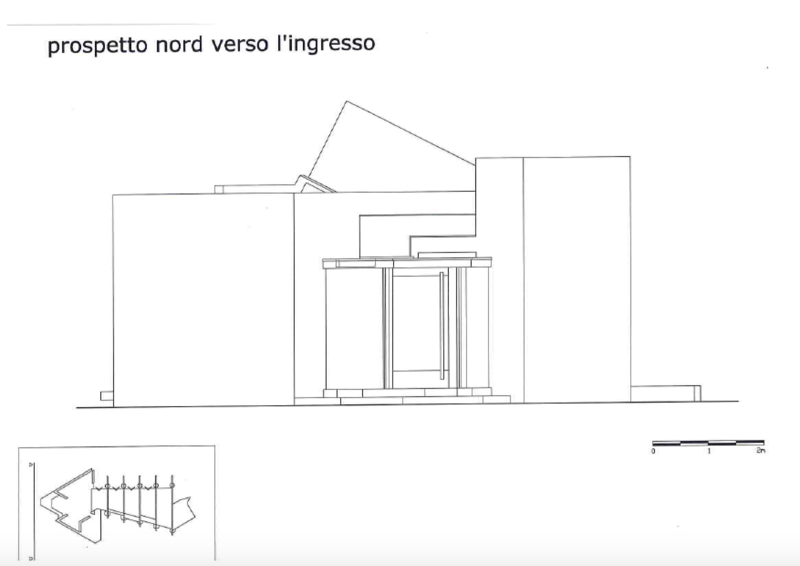 There are also some vertical openings in the walls which increases the relation with the outside. 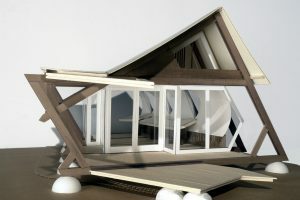 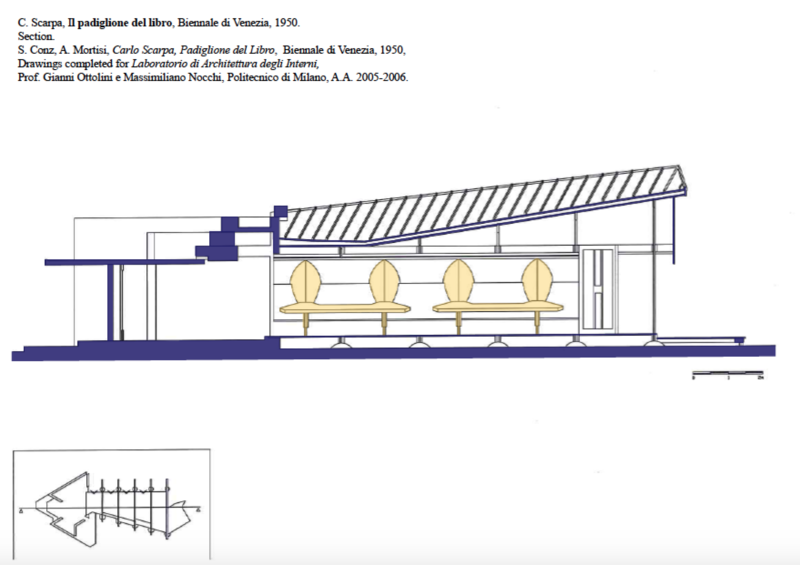 It is composed of two main volumes separated by a low step: the living room and the exhibition space. 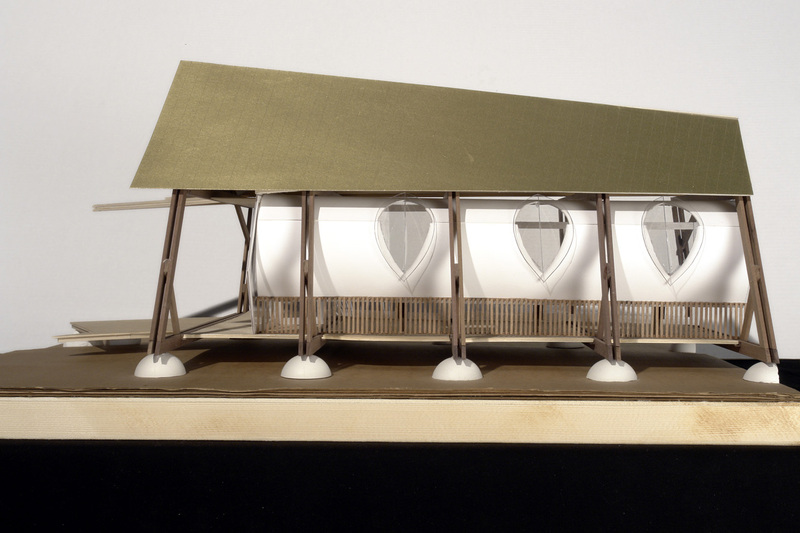 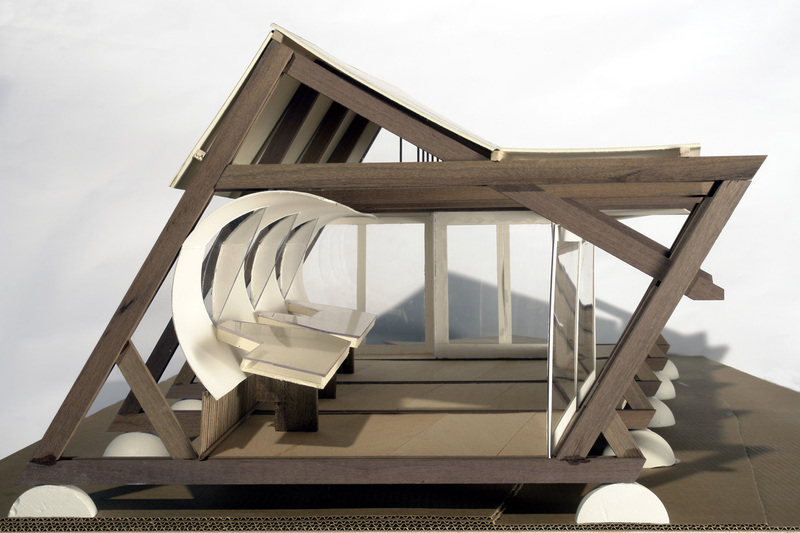 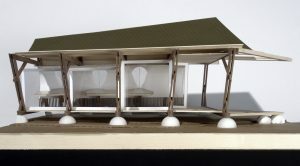 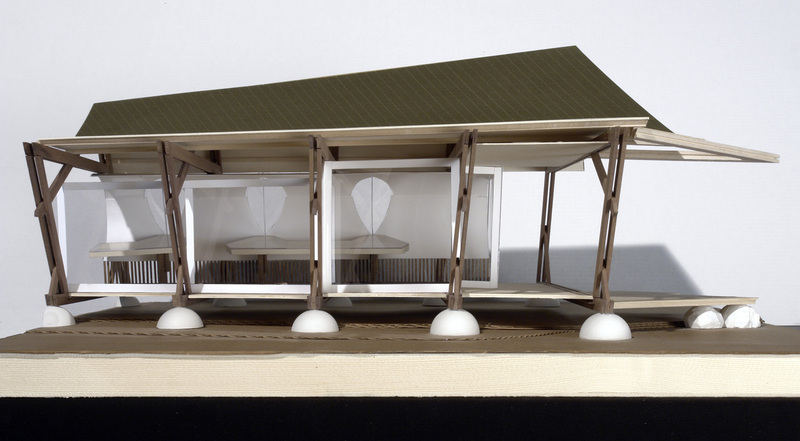 The pavilion is called to be a thunderbolt in clear skies because of its controversy. 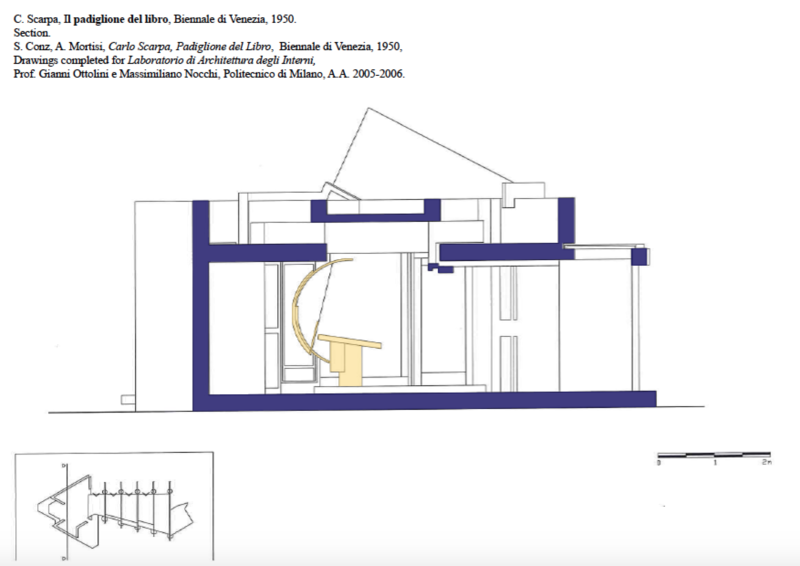 Carlo Scarpa, Il Padiglione del Libro, Biennale Venezia, 1950, Drawings completed for Laboratorio di Architettura degli Interni e Allestimento I, Prof. G. Ottolini and M. Nocchi, Politecnico di Milano, A.A. 2005-2006. 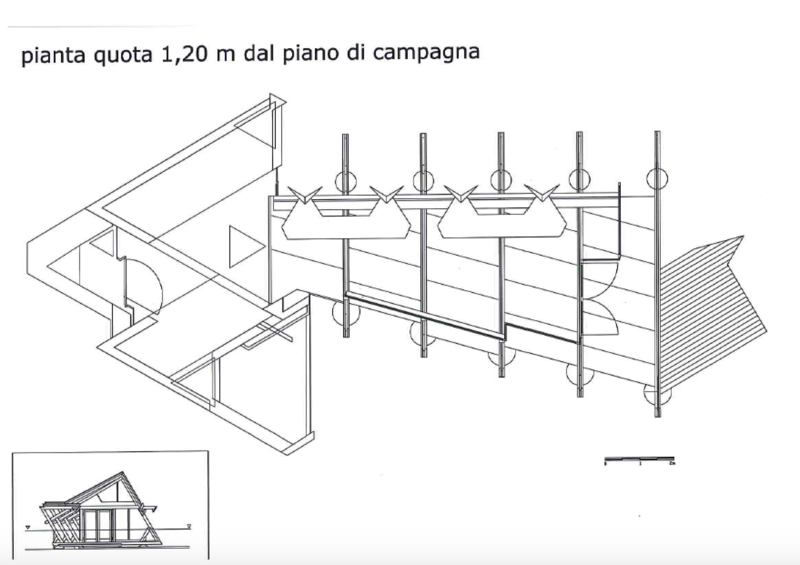 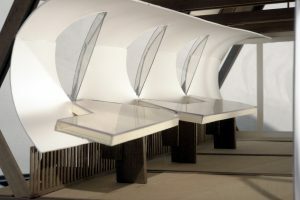 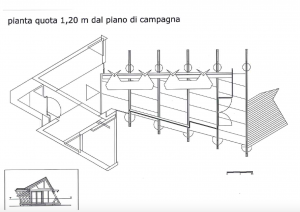 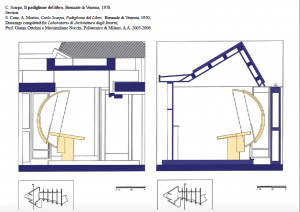 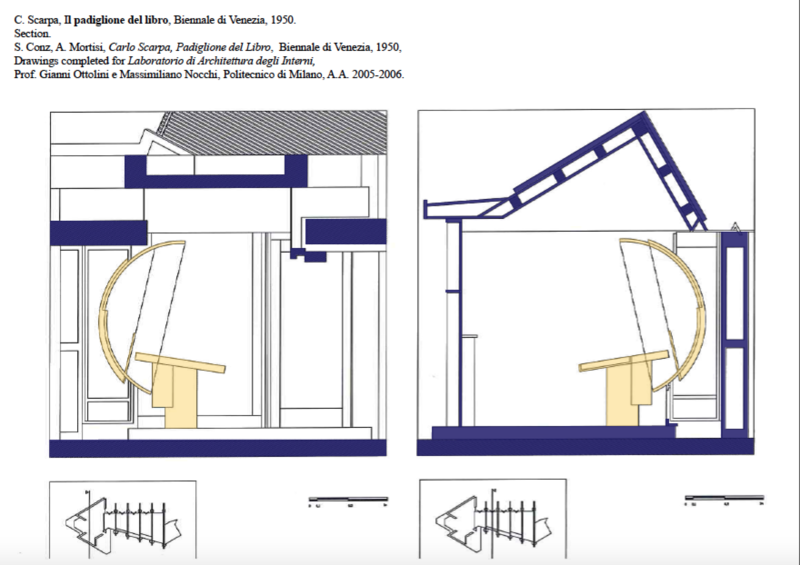 S. Conz, A. Mortisi, Carlo Scarpa, Padiglione del Libro, Biennale di Venezia, 1950, Work completed for Laboratorio di Architettura degli Interni, Prof. G. Ottolini and M. Nocchi, Politecnico di Milano, A.A. 2005-2006.